In the first book I composed . . . (Acts 1:1). The unnamed “I” who wrote the book of Acts is identified in church tradition as Luke, who also wrote the third Gospel. 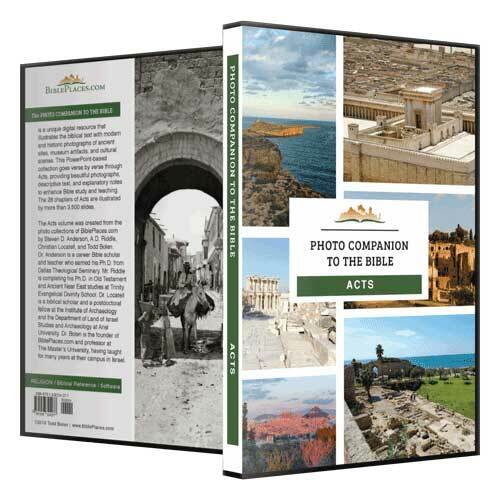 Various indications from within the book of Acts also point to Luke as its author. 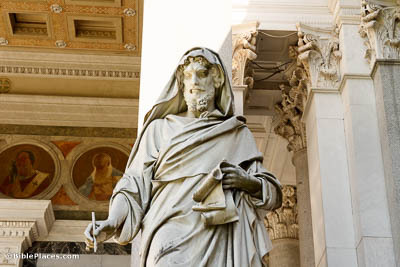 This statue depicting him was photographed at the Basilica of St. Paul Outside the Walls, one of Rome’s most famous churches. And you will be My witnesses, both in Jerusalem, and in all Judea (Acts 1:8). 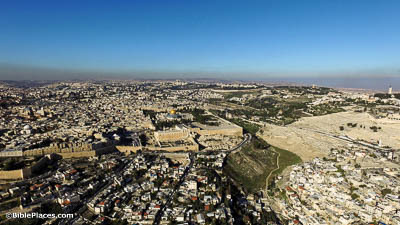 The followers of Jesus would begin to spread the good news here, in the city of Jerusalem. They remained there until the persecution that broke out in the aftermath of Stephen’s martyrdom, which forced them (and their message) out into other Jewish cities. And when He had said these things, while they were looking, He was taken up (Acts 1:9). 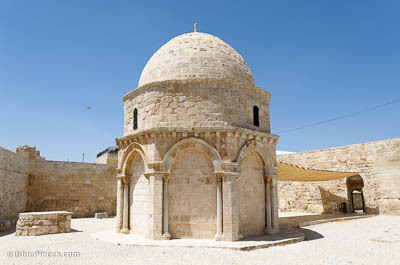 One of the traditional locations for Jesus’s ascension on the Mount of Olives is the Chapel of the Ascension. This chapel was first built in the fourth century. Captured by Saladin in 1187, it was converted into a mosque and it remains such today. The structure houses what is traditionally identified as the last footprint of Jesus on earth before He ascended into heaven. Now [Judas] acquired a field with the wages of his wrongdoing (Acts 1:18). There are about thirty pieces of silver in this photograph, the same number (and the same type of coin) as the Jewish leaders gave to Judas. 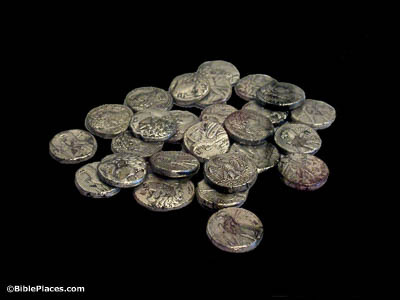 The Sanhedrin apparently used the thirty pieces of silver that Judas had returned to purchase the field where Judas hung himself and fell (cf. Matt 27:6-10). And they cast lots for them, and the lot fell on Matthias (Acts 1:26). 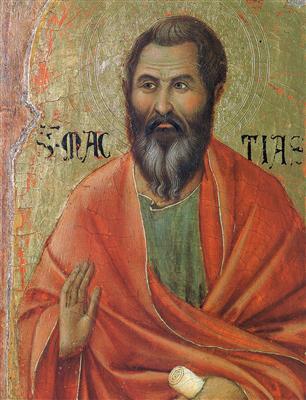 In the wake of Judas’s betrayal, his position was filled by Matthias. Because he is mentioned only here in the New Testament, there is little known about him. Even still, he sometimes appears in religious artwork, often depicted with wavy hair and a dark beard.